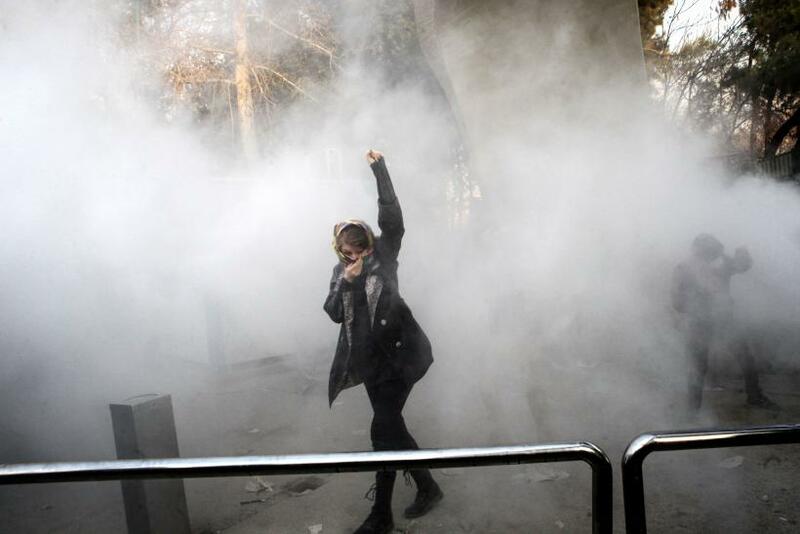 Massive protests erupted across Iran last Thursday, spurred by a stagnant economy and the rising cost of basic necessities. On Wednesday, almost a week later, the BBC reported 21 people were killed in subsequent protests. Iran’s Revolutionary Guards deployed forces to three provinces to quell the anti-government uproar. The government has blocked popular messaging services like Telegram and Signal, in addition to several internet networks. Yet despite censorship and civil unrest, the Iranian bitcoin community is growing rapidly. Iranian bitcoin usage surged in the weeks leading up to this civil unrest. According to a data analysis of Iranian rial transactions through localbitcoins.com, purchases reached an all-time high in late December of around $1.7 million worth of transactions in a single week. This is an incomplete reflection of the growing trend. Sadr said local Iranian sellers have been selling this much every single day over the past few weeks. “A few days ago we bought 100 bitcoins in the morning and we sold them by noon,” he said. Outrage about the current state of the Iranian banking industry has been mounting for years. Bloomberg reported Iranian customers protested outside local branches in 2017, demanding deposits because they worry some of the country’s largest credit institutions are on the verge of collapse. Meanwhile, Iranians remain politically ostracized from most international businesses and financial institutions. Arang Keshavarzian, an Iranian-born politics professor at New York University, told IBT some of the provinces with recent protests also saw workers’ strikes and a variety of other protests for the past few years. Incumbent President Hassan Rouhani ran his 2017 campaign on a platform of economic reform. Rouhani himself has been outspoken about corruption in the financial sector. Then in December, the government introduced a 2018 budget with severe cuts to social welfare provisions. "People are hearing from their own president that he doesn't have complete control over the budget," Keshavarzian said. “The discussion about corruption, embezzlement and insolvent banks are not particularly new. This is something that has been in the news and debated, hotly debated inside Iran for at least a decade." Twitter is still blocked in Iran. Although tech-savvy Iranians may know how to use tools like VPN and Tor to work around such censorship, they don’t rely on global cryptocurrency communities on Twitter and Reddit. Instead, they engage in hundreds of Telegram groups and use websites such as iranblockchain.org. Education and awareness regarding blockchain technologies are still scarce. Small group chats are the most popular ways to learn. Now some urban Iranians are slowly moving to a crypto-centric lifestyle. “The reason that I hold only crypto is because of the economic situation in Iran,” Sadr said. “I've seen people around me doing so gradually. And I think that more and more people would do so... I hold all my money, all my capital, in bitcoin mostly and some other altcoins.” The anonymous cryptocurrency monero is one of his favorites. Private blockchain tokens like zcash and monero aren’t as popular in Iran as they are in places like Venezuela, in part because the Iranian government is not censoring or outlawing bitcoin directly. To the contrary, many government officials view global cryptocurrencies as a way to work around stifling economic sanctions. Iran's new minister of communications and technology, Javad Azari Jahromi, planned to visit an Iranian bitcoin mining company. Plus, before protests broke out he said he wanted to unlock access to Twitter and Youtube. These platforms are a huge educational resource for international bitcoin users, so this might help Iranians who aren’t already adept at avoiding internet censorship. However, it’s impossible to say how the government will react in the wake of recent unrest. Jahromi ironically tweeted an apology to the Iranian people, although any Iranian reading this tweet broke the law to circumnavigate censorship, saying the blackouts are temporary. یکی از جهت گیری‌های دولت برای حل معضل #بیکاری، توسعه کسب کارهای نوپا و تقویت فضای مجازی بوده و خواهد بود. وظیفه دارم از صدها هزار هموطن عزیزی که بدلیل شرایط اخیر متضرر شده‌اند، عذرخواهی کنم. با بازگشت آرامش، در حال مذاکره با شورای امنیت کشور برای رفع محدودیتها هستیم. Keshavarzian noted the apologetic framing of such censorship announcements has been coupled with a relatively conservative deployment of the Islamic Revolutionary Guard Corps. "The crackdown has a pattern that is different from 2009," Keshavarzian said. Leaders are simultaneously promoting a public image of peaceful democratic reform. On Wednesday, public school workers and a variety of businessmen in Tehran were ordered to attend pro-government rallies as a spectacle to contradict the tumultuous image of economic crisis.